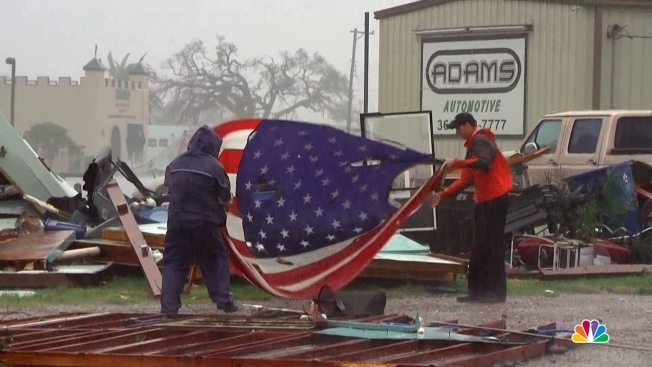 Houston, the nation's fourth-largest city, was still largely paralyzed on Monday, and there was no relief in sight from the storm named Harvey that spun into Texas as a Category 4 hurricane, then parked itself over the Gulf Coast. As these before-and-after photos show, it will be some time before the area fully recovers. 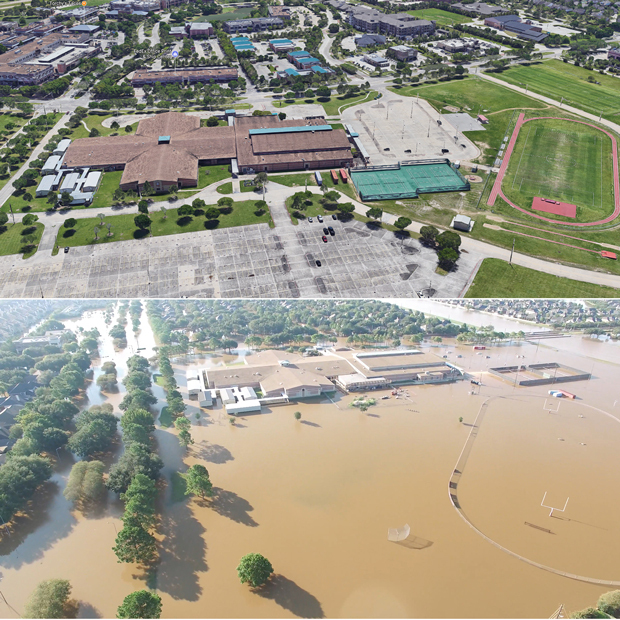 Drone footage captures the flooding of Cinco Ranch High School in Katy, Texas, and the surrounding neighborhood.